As you enter Napa Valley from the south, you are in Carneros, driving on the highway that runs right through the old Stewart Dairy property. To your left on the hill, are the famous “Oreo” cows munching grass, and to your right is the vineyard. The unique terroir of this site has provided me with stunning Sauvignon Blanc since 1999, wonderful Merlot more recently, and for the first time in 2009, Albariño. One of my favorite American authors, Kurt Vonnegut, once said that life is a series of accidents. As a result of unanticipated developments at harvest in 2009, there was no home for the Albariño grown on the property, and suddenly it was being offered to me. Considering that aromatic whites are among my most favorite wines, I could hardly say no. Although not the first Albariño planting in the United States, Stewart was the source of the first commercial release of the variety in 1999. Albariño has grown on the northwest coast of Spain and Portugal for centuries, resulting in wonderful food-friendly wines known for their enticing aromatics, vivacious crispness, and intriguing complexity. If ever a wine begs for food, this is it. It has gained in popularity in the States in the last few years, and for us to have one of the few domestic versions produced in this country is both exciting and noteworthy. 2017 was quite a growing season—torrential rains and flooding in the winter gave way to periodic blasts of heat. Labor Day weekend was the most extreme, with temperature in San Francisco 105+ -- unheard of! Fortunately, we were able to harvest our Albariño just before the heat cranked up. In addition, the winter rains definitely helped all the varieties at Stewart as they began the growing season much less stressed than the last couple of vintages. 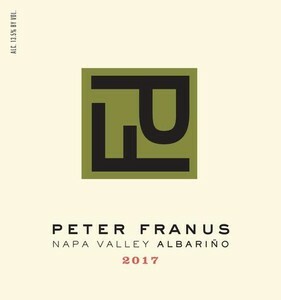 A hint of straw color introduces our 2017, inviting you to explore the kaleidoscope of aromas unique to Albariño--lime zest, toasted almond, ginger, ripe apricot, and floral notes. A lively mouth elevates the intense flavors even further that extend into a surprisingly long finish. Both refreshing and satisfying. We are happy to report that the interest in Albariño continues to grow, and we are pleased that our domestic version of this Spanish variety continues to intrigue both here in the US and around the world. Purists will particularly appreciate our 2017—it’s a bit racier with a little less alcohol than its predecessors and enhances its chances of being mistaken for one of its premium Spanish counterparts!